From complex restorations to subtle rejuvenations, Seattle Specialty Dentistry is uniquely qualified to provide you with results that are truly extraordinary. Dr. Bryant is both a board-certified and fellowship-trained prosthodontist with decades of training and experience creating healthy, nearly flawless smiles. Find out more by browsing our website, then contact us to schedule your complimentary consultation today. With heavy hearts we announce the recent passing of Ronald A. Bryant. As some of you may know, Dr. Bryant struggled with Stage 4 cancer and was simply unable to keep up what was an extremely valiant fight against the disease. 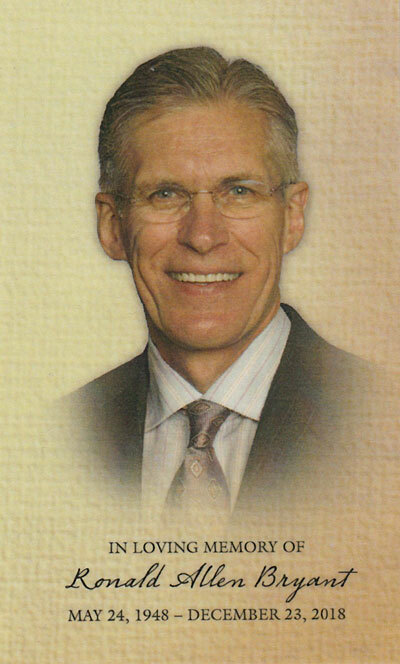 We will all remember him for his dedication to his valued patients, warm and caring heart, and dedication to the field of dentistry. We specialize in exceptionally natural-looking results. View our photo gallery and see for yourself. Take a first step toward a more perfect smile & see what we can do for you. Read what our patients are saying & see the results for yourself. Contact us now to schedule a complimentary consultation. At Seattle Specialty Dentistry, we strive to create beautiful, healthy, lasting smiles. We want to make our patients look and feel good throughout every phase of their treatment. That means creating an atmosphere that’s calming and comfortable, and inspires confidence. From the first visit to the final result, we want our patients to feel certain that they chose the right place for their dental care. Our take on advances in prosthodontics and dentistry, new treatments and technologies, oral health tips, and other topics. Named Top Dentists eight years running.